In this week’s “Winemaker Interview,” Maureen Macdonald talks about going from bartender and chef, to full blown professional winemaker and winemaking consultant. Why did you become a winemaker? What first attracted you to winemaking? I first developed an interest in winemaking while I was bar-tending at a fine dining restaurant. I was fascinated by wine enthusiasts who would come in and rejoice over a certain vintage of a premium wine offering. Everyone had a story as to why that particular wine was special to them; a memory of a special occasion. It sparked my interest in being able to create a product that would have this effect on people. I was lucky enough to share this interest with a patron at this establishment, and as luck would have it, he taught at a college that offered wine making classes. I enrolled, and the rest is history. I have now been making wine for almost a decade. 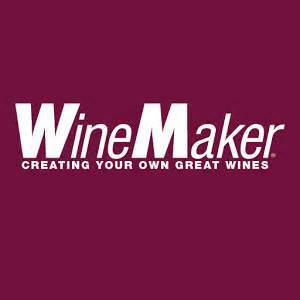 How were you introduced to winemaking? I was introduced to winemaking via the academic route. I first took classes in viticulture and advanced horticulture to learn about grafting, pruning, and vineyard installation. All of this knowledge built upon my previous collegiate studies in botany and environmental science. I then took classes in oenology which taught me how to make my first batches of wine. What are the biggest challenges for a winemaker on the East Coast? A large challenge for winemakers on the East Coast can often be the lack of varietal choice within the Vitus Vinifera family. Due to colder growing climates, many vinifera varietals struggle to prosper in New England. While we do have many excellent winemaking French-American hybrid varietals to grow in this area, a big challenge for commercial winemakers is educating the public on them. Many consumers will eagerly try a new Pinot Grigio or Cabernet Sauvignon, but when you offer them a nice glass of Seyval or Marquette, they may give you a puzzled look. A significant portion of my job when working with these varietals is educating the consumers about their flavor profiles and food pairing abilities, just like the vinifera grapes that they are familiar with. What makes making wine at home so great? What makes making wine at home so different? Making wine at home is great because you can do it in your pajamas! The convenience factor is certainly a benefit as you can experiment at your leisure and have complete creative control over your end product. 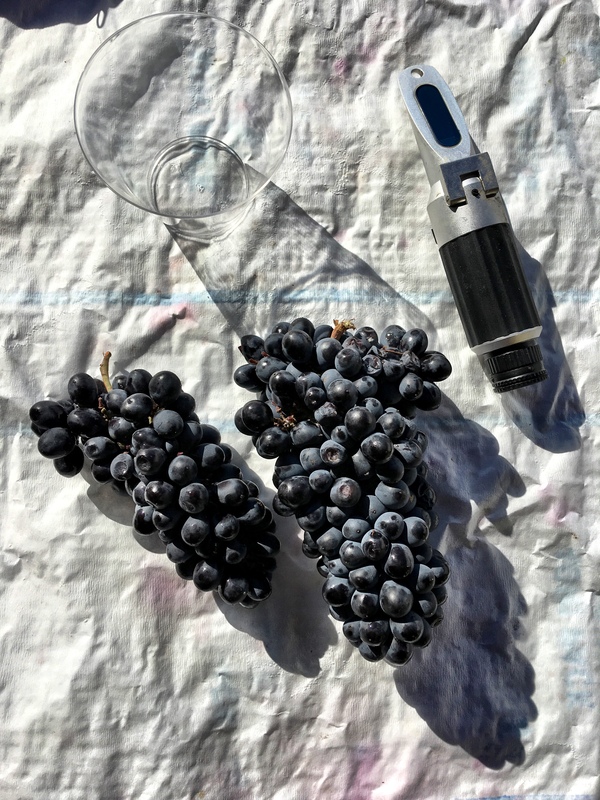 It is much more challenging in some aspects than on the commercial level as I certain tannins and additives are hard to measure out for such small batches. And I certainly do appreciate working in a commercial winery with the ability to rinse down everything into a floor drain at the end of the day. Cleaning up at home can be more painstaking in comparison. Harvest season is all about the preparation. I like to take weekly readings of Brix, TA, and pH of the grapes to track their ripening process and compare to previous vintages. I will also take some field estimates to help me gauge my anticipated yield for the season. I will make sure that all of my equipment is in good shape, supplies are ordered, and coworkers are informed as to picking and processing schedules. Then it is just time to wait until the grapes are ready, and pray for good weather. Once harvest season is underway, I become a finely tuned machine of crushing, pressing, and setting yeast, checking on all of my varietals daily. While it is a lot of work in many different directions, I find a certain rhythm to it, almost like a dance. You just keep moving with each grape and wine until it gets to the end point of stable wine. I will work a lot of long hours, have a lot of physically and mentally trying moments, but at the end of the day it is worth it. I just remember that this wine will make someone very happy at some point and my efforts will be appreciated. Hopefully someday, someone will have a special moment with this wine. I think I am unique within my local field as my area of expertise and focus is with French-American hybrids. Many winemakers start out by making Cabernet Sauvignon, in hopes of generating the next Opus One. I was fortunate to start at an active farm winery, working with many varieties of excellent quality French-American hybrid grapes. I developed an appreciation for their own unique wine making capabilities and learned as much as I could about making them into the best representations of their varietals. My goals were to make excellent quality wines out of local grapes in hopes of educating and exciting the public about the new varietals of grapes. I’d like to think I accomplished that to some extent, through the many wines that I have commercially produced. In regards to a winemaking philosophy, don’t try and force a round peg into a square hole. Don’t grow a hybrid grape in hopes of generating a vinifera style wine. Embrace the grapes for the wines that they are able to make, and if you really want the next Opus One, do the research on sourcing premium grapes from a premium growing region and expect to pay for such quality. Not every wine has to be a deep, rich, tannic red wine to have with a filet mignon. Some wines can be light, fruity, acidic, and meant for refreshment on hot summer days or just relaxing and socializing with friends. As the summer progresses, hot days, little rain after verasion, low disease pressure, you can start to see these factors as the signs of a good vintage. After crush I conduct an analysis of the grapes to see if they require any added acid, sugar, or water. If little additions need to be made to the must, it is another indication of a good vintage. Throughout the fermentation process, checking the vital factors of Brix and pH are critical as well as checking the aroma of the wine daily. I find that the overall health of that wine is detected in its aroma. Many faults and flaws can be fixed or avoided by observing the aroma. I’ve always wanted to make sparkling wine. I am currently working on a commercial level project, preparing wine to be force carbonated. This is like swimming in the shallow end of the sparkling wine production pool. I’ve seen the traditional method champenoise done, and I understand the process, however that is my next big adventure in wine making. Who doesn’t love sparkling wine? While my first exposure to wine was California produced wine, and I still favor their product, as far as the region that has had the most influence to my personal winemaking style, I would have to say New England and Long Island. I have had the privilege of visiting over 50 wineries in the region and seeing the many expressions of the hybrid and vinifera varietals has given me a priceless education and influence on my winemaking style. The North Fork of Long Island made me fall in love with Chardonnay in its various styles and forms, from crisp and acidic steel productions, to decadent, buttery, and almost unctuous barrel fermented products. I wasn’t much of a Chardonnay connoseuir in my early career, and I will always remember a bottle of Harbes Farm Winery Chardonnay that was so incredibly rich and buttery, I wanted to dunk lobster in it. That bottle peaked my interest in Chardonnay production and influenced and inspired my Chardonnay research and production. I find many people do not realize that wine making is a full time job. Many folks assume that I spend my winters skiing or traveling to warmer locations. This couldn’t be farther from the truth. While I do like utilizing my bits of extra free time in the colder months to explore new wineries and attend as many educational opportunities as possible, the slower paced winter months are when I get my best cellar work done. This is the time for experiments, bench trials, researching new fining and nutritional additives and preparing wine for bottling. This is when I form the young wines into their mature expressions, preparing for potential epicurean greatness. Its hard to pick just one thing about my job that I like, so I’d have to say the diversity. Along with being a winemaking consultant to vineyards, I also run lab services from Musto Wine Grape, running tests for home and commercial winemakers who may not have the proper equipment. I get to teach classes about winemaking topics and am now branching out to the vast “interwebs” with winemaking blogs and podcasts. Basically, my favorite part of my job is helping people make their wine better and sharing my passion for winemaking with them. Nothing is more exciting and satisfying than working with a client and seeing them have a eureka moment with a wine and seeing how to get it to its full potential. Sometimes it is not the wine that was made under the most ideal conditions that you are the most proud of. I once had a small batch of Cayuga that was fermented with an experimental yeast and I was not very satisfied with the results. Rather than dwelling on the lackluster results, I looked at it as a challenge. I blended this wine with some beautiful Riesling and then infused it with elder-flower blossoms and back sweetened it. The result was a dynamic, unique, dessert style wine with rich floral and honey tones. While the wine was very different form my initial concept, the end product was very different and creative and I was very pleased with it. I recognize the bias, but my favorite winemakers are my fellow female winemakers in the state. These women are very talented, creative and have helped me create a community of sharing and trust that proven exceptionally valuable to me in my career. They are a tremendous resource, both personally and professionally and nothing makes me happier than their success. When any one of us turns out a new spectacular wine, it is a win for all of us, showing that young women can make beautiful wine, in any location. As far as my favorite wine, Faust Cabernet Sauvignon has a special place in my heart and palate memory. I remember the first time that I had a taste of this wine, and it was like drinking pure oxygen. I was astounded at the smoothness to it and the depth of flavors. I had never encountered a wine like this and it peaked my curiosity as to how someone could possibly make something so perfect. Even now when I open a bottle of it, I am still struck with the same sense of awe. It is truly a special product. When you have completed your final pressing of the season, feeling incredibly tired, hands cracked, purple and sore, clothes soaked in wine, beer can be the nectar of the gods. Visiting Musto Wine Grape when the grapes from California just arrived is like stepping back in time. The store is located in the Hartford Regional Market which houses many different agricultural businesses. The market was built in the 1950’s and housed many different agricultural businesses over the years. Musto Wine Grape is the only fresh wine grape and juice provider of it’s kind in the market. The market definitely has an “old school” vibe. When you are walking on the dock/store at Musto Wine Grape you will usually notice that there is an overwhelming amount of languages flying through the air. Making wine at home is a time honored tradition for many cultures. Many Italian and Portuguese families make wine together every year and have been passing down this tradition for generations. Many people of Russian or Albanian decent use the wine grapes to create their country’s specialty liquor. So you have many cultures and generations of people converging all at once. It is not uncommon for you to hear 3 different languages being spoken on a Saturday morning when purchasing your winemaking products. Musto Wine Grape focuses on education and high quality products for their winemakers. No matter if you are a newbie winemaker starting out, or a skilled winemaker making 200 gallons in your home, Musto has everything you need to create the wine of your dreams at home. To get started making your own wine at home visit JuiceGrape.com!